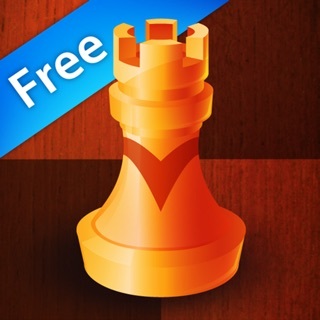 This app follows the highly successful teaching method already experimented at various chess clubs. 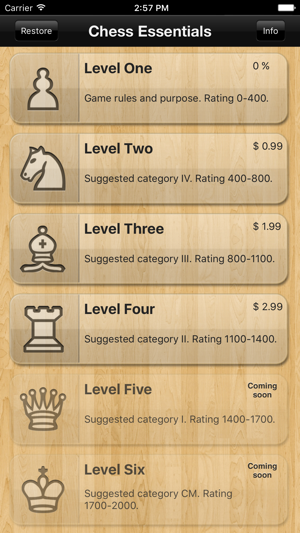 Although our students are children and youth, the app is intended for chess lovers of any level up to a 2000 national rating. The rating levels are provided for guidance only and are set based on over 300 students’ real experiences. Still we cannot guarantee you will achieve them. Ultimately, you are responsible for your own chess performances. 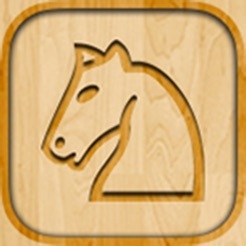 If your desire is just to get better, to understand and enjoy more this ancient game, this app is for you too! It will help you understand the basics and perfect your skills. 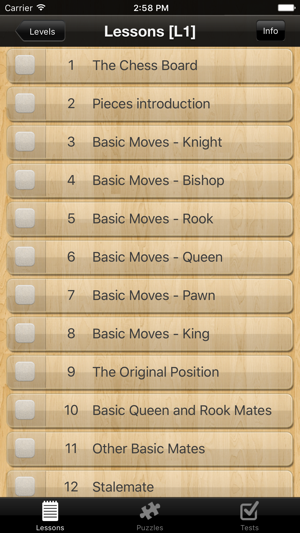 Our levels 1 to 5 provide you with the essential information and over 1,000 carefully selected puzzles to help you lay down the proper chess knowledge foundation. 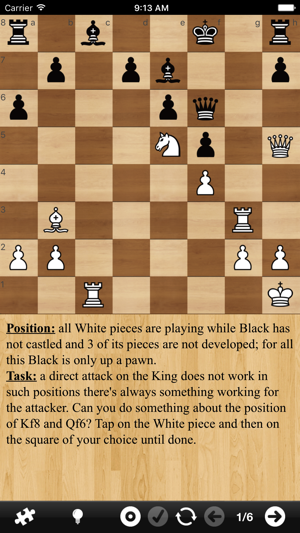 Chess can still be enjoyed when learned the right way. This is your opportunity to learn it with us! This app is fantastic! 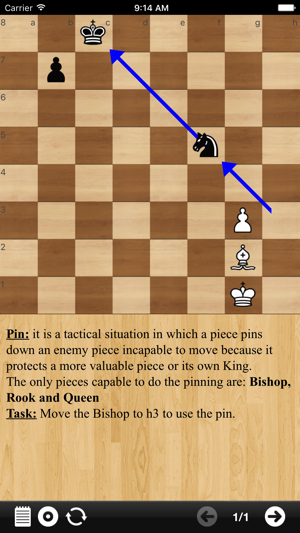 There are so many chess apps out there but this one rises above the rest due to the thoughtfulness of the lessons. Very thorough without being boring - looking forward to finishing all the levels. Highly recommend. 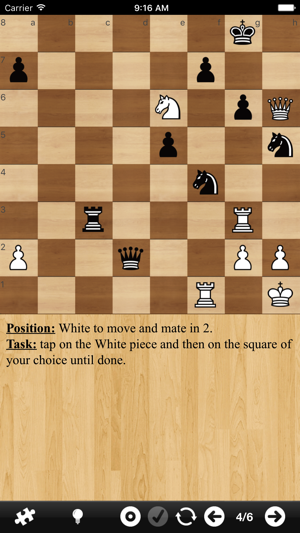 ChessEssentials is in my opinion the best learning app that I found so far. I consider myself a beginner and being a strategic game, chess has many moves and rules that beginners often find confusing. This app is a user friendly, open to all ages, with an effective teaching that got my 5 year old daughter interested. I wish to see more exercises and puzzles every level. I give a thumbs-up! Very slick design. The self teaching method is easy to use, flexible and increasing challenging as you move along. Can't wait for the other levels to come live!